The charge transportation in the solid oxide fuel cell electrolyte, Sm0.2Ce0.8O2−δ (SDC); has been elucidated by using DC and AC measurements as a function of grain size at temperature 500°C. Initially, chemically homogeneous pellets of SDC were prepared using its powder synthesized by oxalate co-precipitation method and then mean crystallite-size of the SDC samples was varied by adjusting the sintering temperature. The mean crystallite-size was calculated from x-ray diffraction data by using the Debye–Scherrer equation. Further, the samples were examined for their crystal structure, crystallite-size and chemical homogeneity. 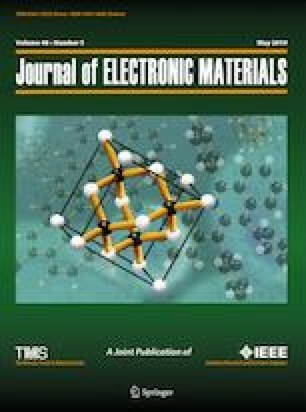 Electrochemical impedance spectroscopy was used to understand electrical properties of the samples and its correlation with crystallite-size was revealed. SDC samples having larger crystallites exhibited higher electrical conductivity by providing a number of mobile oxygen ions for conduction. However, a lesser number of oxygen ion vacancies across crystallite-boundaries become a hurdle for oxygen migration through samples having small crystallite-size.